As a retailer, I'm inundated with new product announcements. The one I now avoid, the kiss of death, the mark of trouble, is the Kickstarter product. It's not all Kickstarter products, it's the small to medium sized publishers. 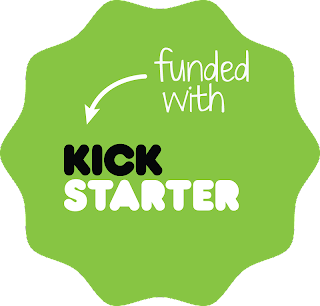 Now that Kickstarter isn't this emerging technology, but a very well established medium for gamers to acquire games, it has managed to successfully capture the majority of local sales. 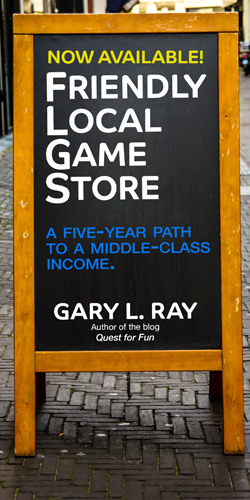 This is a big change from the beginning of the year, when I was supporting Kickstarter projects as a retailer. Bigger projects can break out of this market saturation, but for the most part, most Kickstarter products we've brought into the store lately, including games that are highly ranked and reviewed, have failed for us. This includes companies that used to sell direct to us that now use Kickstarter. They've captured all our previous customers. Good for them, but obviously I shouldn't continue participating in that. Kickstarter on a product now says to me, "Hey, we've done our best to sell this exact product, along with bonuses you can't offer, direct to customers before you. But perhaps you know somebody we missed?" Unlike the PDF market, which sells a different product, or the direct sales competitor, who sells things at the same time as us, the Kickstarter product is sold to customers not only before we can get it, but with added benefits. As I've mentioned, the Kickstarter market is a tiny part of the game trade, but these small companies used to have a place on our shelf. Now I'm pushed to focus on the mainstream, which is unfortunate. So my answer is always going to be "no" now, I do not want that product, and thank you for sharing your efforts to bypass traditional mediums that I happen to use to feed my family. You may keep that product, and if you're my distributor, note my opinion on this. In the end, publishers will wish to hide this mark of divergence, the Kickstarter origin of their product. Then my job, like I often have to do with re-prints of old games, is to research and ferret out the less than new, less than clean, somewhat rancid odor of the not right. Kickstarter, I've decided, is not compatible with retail in most cases.